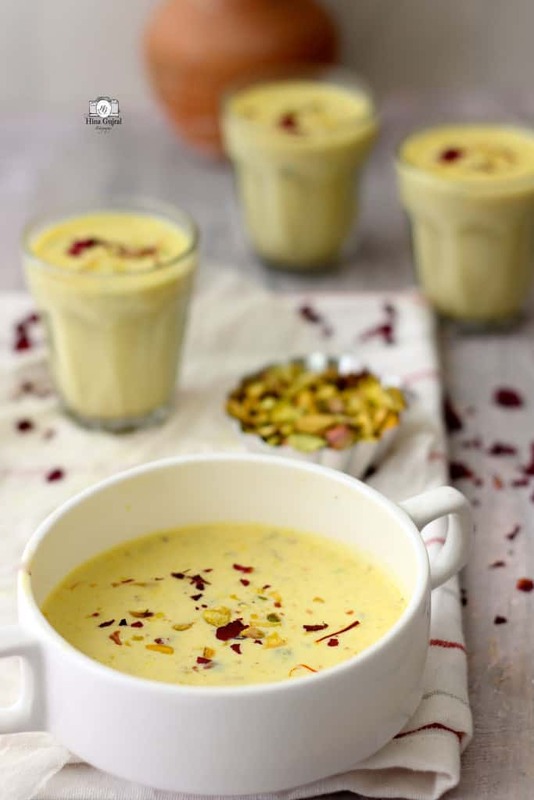 Basundi Recipe is a traditional Gujarati milk pudding laced with the rich flavour of saffron and dry fruits. We are slowly and steadily creeping into the celebratory mood with all the Indian festivals lined up in the coming months. During the festive season, we don’t mind to come out of our cocoon and share some light moments with the loved ones. In our family, gleeful memories are often interlinked with good food. The jubilant moments are shared with each other over a table laid with delicious dishes and a hearty discussion about Indian recipes. And post every family meal sharing recipe notes is a ritual we hardly give amiss. Recipes shared by the aunts while relishing the bowl full of dessert are the part of my ancestral treasure. 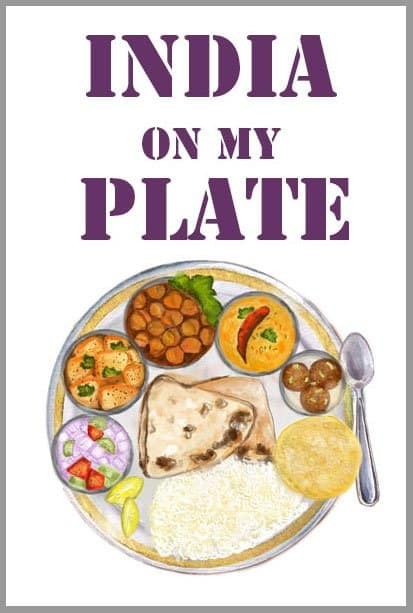 Their easy Indian recipes are not precise when it comes to measurement or cooking time, yet the end result is always satisfying. Their recipes are always about the idea to combine the right ingredients and then follow your cooking instincts. Sometimes, I wonder, maybe it is the years of cooking experience that make their vague recipe draft much more well-defined than a cookbook recipe. Sometime, last year during one of such family dinner, an aunt who shifted to Gujarat years back, shared the Basundi recipe with us. The dessert that day was Ras Malai, which lead to the discussion about the similarity between Rabri and Basundi. Those of us who were unfamiliar with the Gujarati milk pudding, where voicing praises for Rabri. Eventually, all the gourmands in the family joined the serious discussion about the two delicacies while relishing each bite of chilled ras malai. Later, when the dust settled, in an almost whispering tone I requested aunt for the Basundi Recipe. Next minute, I was scribbling her specification about the recipe in the daily journal. The recipe which she shared with me was more like a blueprint of the Basundi. With a little personal touch, the recipe turned out to be a foolproof one, which definitely made it to the diary and off-course here on the blog. For more such easy Indian recipes in your life, follow along on Facebook, Instagram, or subscribe to our Youtube Channel. 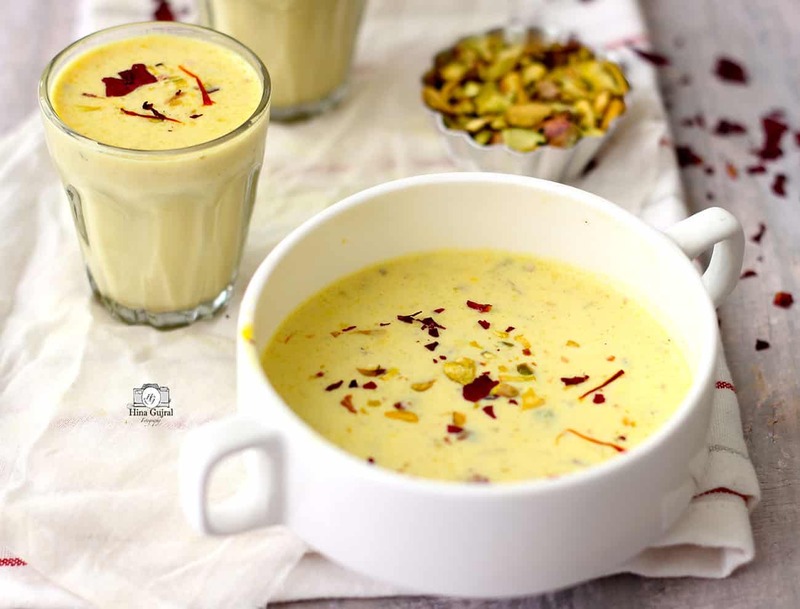 Basundi Recipe is a traditional Gujarati milk pudding laced with the rich flavour of saffron and dry fruits. Learn how to make delicious basundi in few simple steps. 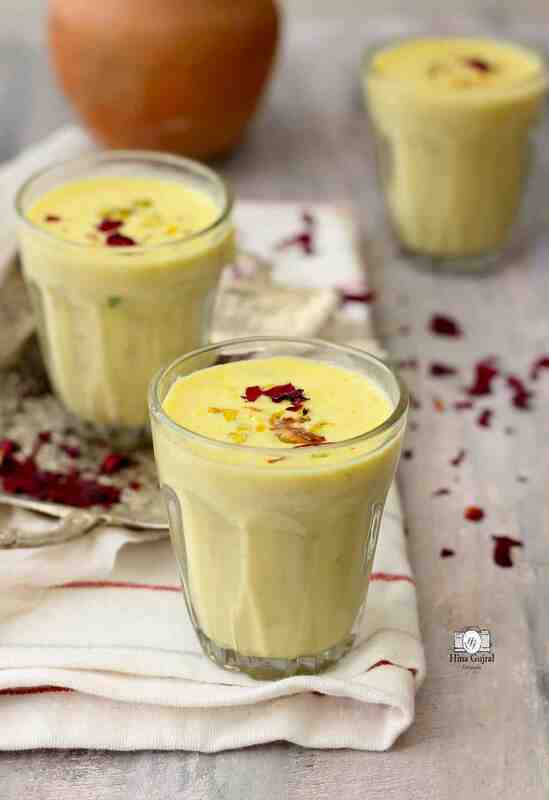 To prepare basundi, soak saffron in 2 tablespoon of warm milk. Stir to combine and set aside. Pour remaining milk in a thick bottomed pan ( buy it here ) and heat over medium flame. 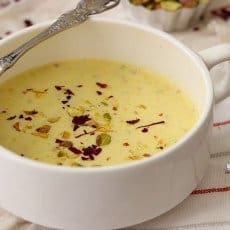 Add the crushed cardamom pods, soaked saffron strands, nutmeg powder to the milk and stir to combine. Heat milk on a low-medium flame and bring to a gentle boil. Keep on stirring at intervals so that the mixture does not get browned or burnt from bottom. Now add sugar, stir to combine and let milk simmer over medium heat. Meanwhile, in a mixer ( buy it here ) make a dry coarse powder of pistachio and almond. Add this mixture in the milk and stir to combine. The basundi would begin to thicken. Scrape the milk solids from the sides and the cream collected on the top and add it back to the basundi mixture. Keep on stirring the basundi while it is simmering. Once Basundi reaches a thick yet pouring consistency. Turn off the heat. Transfer to a large serving bowl. 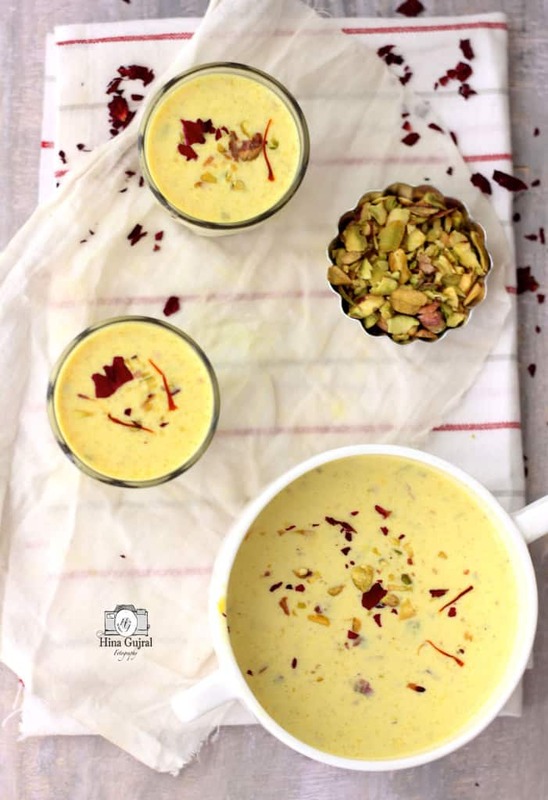 Serve basundi warm or chilled garnished with dry fruits slivers, saffron and rose petals.